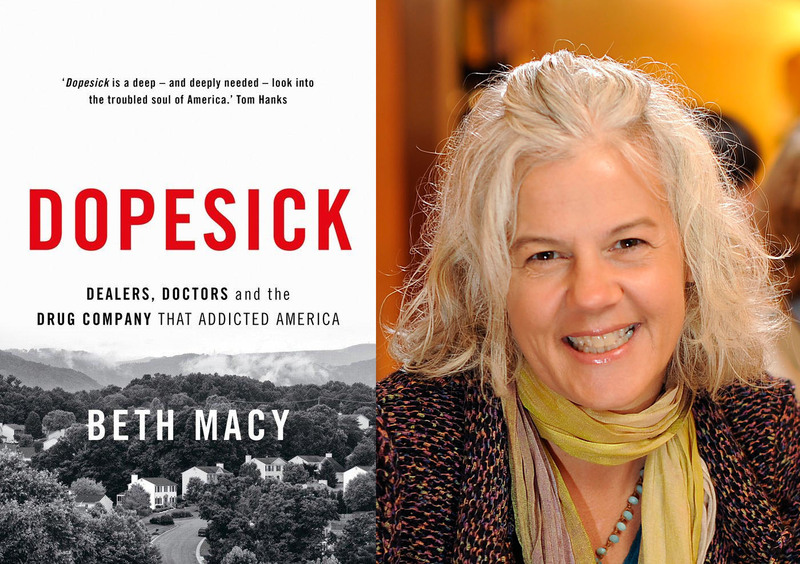 Beth Macy, Author of "Dopesick"
Beth Macy's "Dopesick" takes us into the epicenter of America's twenty-plus year struggle with opoid addiction. From distressed small communities in Central Appalachia to wealthy suburbs; from disparate cities to once-idylic farm towns; it's a heartbreaking trajectory that illustrates how this national crisis has persisted for so long and become so firmly entrenched. Beginning with a single dealer who lands in a small Virginia town and sets about turning high schooll football stars into heroin overdose statistics, Macy endeavors to anwer a grieving mother's question-why her only son died-and comes away with a harrowing story of greed and need. From the introduction of OxyContin in 1996, Macy parses how America embraced a medical culture where overtreatment with painkillers became the norm. In some of the same distressed communities featured in her bestselling book "Factory Man," the unemployed use painkillers both to numb the pain of joblessness and pay their bills, while privileged teens trade pills in cul-de-sacs, and even high school standouts fall prey to prostitution, jail, and death. A book signing will immediatly follow the end of the program. Beth Macy's Arlington Reads appearance is cosponsored by the Arlington County Department of Human Services.